Check out football star Tom Brady attending the party for the first UGG for Men dedicated flagship store in New York City on Tuesday, June 5, 2012. Located at 600 Madison Avenue, the store will sell footwear, outerwear, accessories and small leather goods for men. Brady, who is always on trend, is wearing the UGG Hannen boots. Guests enjoyed getting a sneak peek of the store and the new collection while listening to world famous DJ Mel Debarge spin tunes throughout the night. 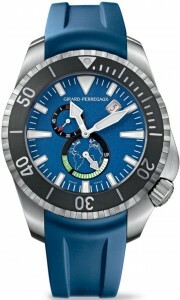 Also on Tuesday night in NYC, luxury watch retailer Girard-Perregaux partnered with Susan and David Rockefeller for the premier of the environmental documentary Mission of Mermaids, and for the limited edition launch of the SeaHawk 1000 Big Blue watch. 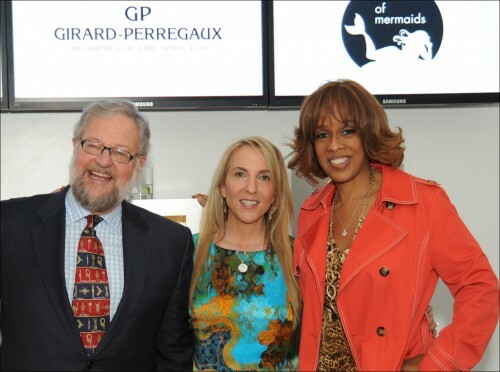 Guests such as Gayle King attended the viewing of the film, which was followed by a special presentation by Girard-Perregaux CEO, Michele Sofisti. He presented the Rockefellers with two GP Big Blue watches in honor of their environmental efforts. After the screening, mythical mermaids dressed in gorgeous gowns, Girard-Perregaux watches and Susan Rockefeller jewelry greeted guests amid a sea of light and projections of Ricardo Cisnero’s ocean-inspired work. Guests received Susan Rockefeller stainless steel straws, engraved with the night’s “Protect what is Precious” theme to discourage single-use plastic. They also left with gifts bags that included an OPI nail polish kit with limited edition colors Mermalade, Sand Castle and Beaty and the Beach created specifically for the occasion.